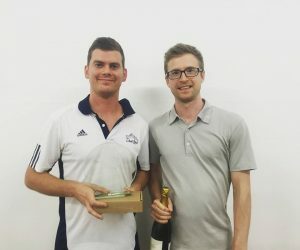 Deuce Bags win the Battle of the Paddle (BotP) summer series as the organisers get recognition for all of their hard work over the last two years. BotP have now been nominated for a West of England Celebration of Sport award for: Outstanding Contribution to Sport & Physical Activity. 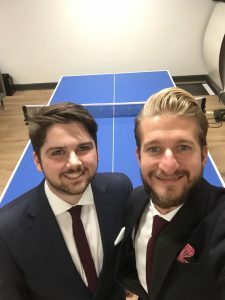 Dylan Pepler, James Strickland and Ruston Butcher have worked tirelessly all summer long planning and getting on 6 table tennis events all over Bristol every two weeks. 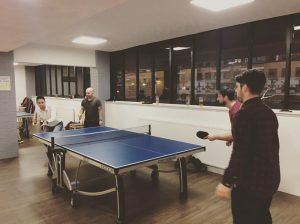 The competition is for Bristol based businesses to network and have fun whilst battling it out over games up to 11 or 21. Teams are also encouraged to stage their own games after work in during their lunch breaks. The results of each match are then messaged into Dylan and his team who update the table on the website for bragging rights in the city. Finals night is a climax of the competition where the 26 teams (entered this summer) is reduced down to just 16; with the top 16 teams in the league table qualifying. 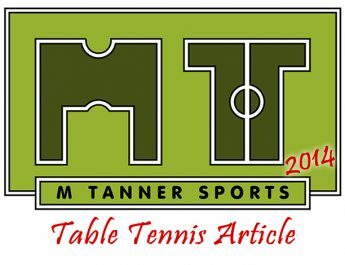 Each team will then play at least two games with the winners of the first round games going through to the quarter finals of the cup competition, whilst the losing teams take part in the Plate. This series’ finals night took place on 21st Sept and the top seed was actually Keynsham Invaders (M Tanner Sports). After a tough opening game the Invaders eventually bowed out to runners up Super Smash Brothers in 5 sets in the semi finals. On the other side of the draw Deuce Bags came through an eagerly anticipated match against Southern Paddlers 3 games to 1. The final was also won 3 games to 1 as the tennis coaches (Deuce Bags) beat the boys from Momentum Financial Technology (Super Smash Bros). 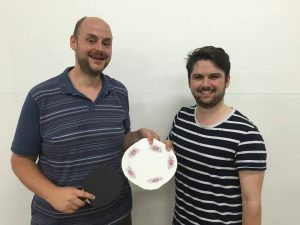 There was also success in the Plate final for GNF over coming the other half of the draw. Finally BofP as a whole had success on 21st October at the West of England Celebration of Sport night as they actually won the Outstanding Contribution to Sport & Physical Activity award. Dylan and Ruston attended and thoroughly enjoyed the night alongside some of the areas premier sports clubs. The new series of BofP will start up in the new year so make sure you register your interest on their social media accounts (where all of the photographs have been taken from). “We are excited to kick off our third Winter Series, on the 25th January, as the thirst for table tennis in Bristol grows”, added Dylan. Looking forward to giving you a game in January!